Edward Rogers Bushnell was born the son of Methodist missionaries in Republican City, Nebraska, on December 5th, 1876. He attended Hastings College in Nebraska before transferring the new Wharton School at the University of Pennsylvania in 1899, at the start of his junior year. At Penn, Bushnell was involved primarily in sports and in journalism. He was a member of two varsity teams (track and cross country) during his two years at Penn, serving as captain of the cross country team during his senior year. He was chair of the Houston Club’s Press Committee and also a member of the Pennsylvania Debating Union and the Western Club. He earned a bachelor of science degree from Penn in 1901, the same year he received his bachelor of the arts degree from Hastings College. Bushnell was best known as a champion long distance runner, hitting his peak in his junior and senior years at Penn. In 1900 he was victorious in the Intercollegiate Championships’ mile run and also attended the Paris Olympics as a member of the U.S. team. Bushnell placed somewhere between fourth and sixth in the 800 meter race; he also finished third in a 2500 meter steeple chase that, as a handicap event, was not included in the official Olympic records for that year. Bushnell was also the official photographer for the U.S. Olympic team at the 1908 London Olympics. While at Penn, Bushnell had supported himself by serving as a campus correspondent for the Philadelphia Press. For the first fifteen years after graduation, he worked as an editorial writer for the old Philadelphia North American and The Evening Public Ledger, but he also edited A History of Athletics at Penn, published in 1908. In 1916 he turned his full attention to campus publications at his alma mater, founding the Franklin Field Illustrated and becoming editor of Old Penn. 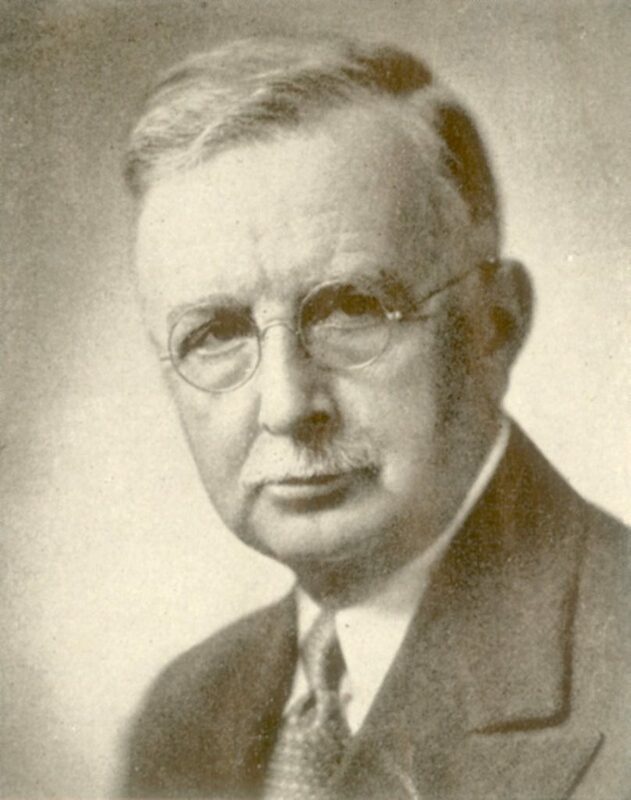 He served as Penn’s director of publicity from 1919 to 1925, during which time he reestablished Old Penn as The Pennsylvania Gazette, remaining as its editor until 1928. Because of his extensive knowledge of Penn athletics, Bushnell also took on the role of graduate manager of athletics from 1918 to 1921. In addition, Bushnell served as chairman of the membership committee of the General Alumni Society of the University of Pennsylvania. Outside of the University, Bushnell edited the annual souvenir yearbook of the Intercollegiate Amateur Athletic Association of America and, along with Penn coach Mike Murphy, wrote a book entitled Athletic Training. He became the president of the Philadelphia chapter of American Olympic Athletes. Edward Bushnell died in Moorestown, New Jersey on January 5th, 1951, at the age of seventy-four.